Ancient traditions often hold the secrets to our most modern problems. When the third eye (the point between the eyebrows) is awakened, for example, you can solve the issue of distraction and procrastination. Stimulating the third eye is also known to increase concentration, eliminate creativity blocks and sharpen intuition. Moreover, it is known to relieve headaches and decongestion. The third eye is associated with yogic philosophy, and according to Gaia, is connected to the pineal gland. "[The] principal seat of the soul," as the pineal gland was described by 16th century philosopher René Descartes, is the place where melatonin is produced. Melatonin is a hormone that regulates a person's wake and sleep cycles, and is linked to stress, mood and energy levels, according to Global Healing Center. 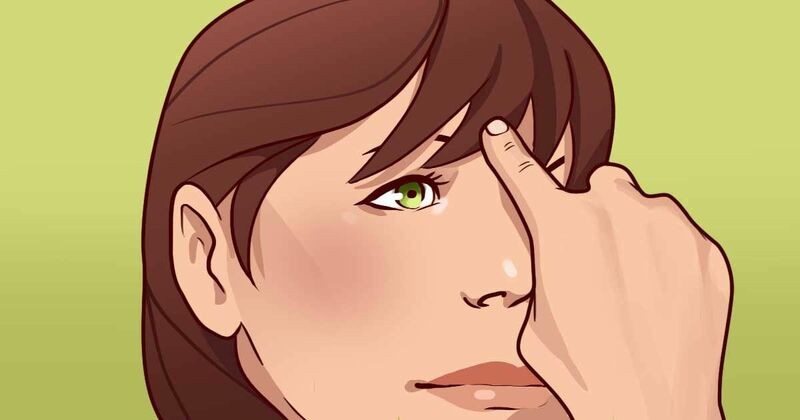 Get the healing benefits of a third eye massage by using your thumbs, index or middle fingers to apply pressure to the point between the eyebrows. Bring your fingers close together and then move them apart in a sweeping motion. Experiment with different levels of pressure until you find the sweet spot where your body is telling you, "yes, this feels good." Acuthink recommends massaging until you feel relief from stress, headache, exhaustion or whatever else may ail you. To open the ehird Eye and activate the pineal gland of a friend or partner, follow the below demonstration by Massage Nerd.